Whether you want to plan a first date to impress someone special or are looking for ideas on daytime adventures, we have you covered. Here are some recommendations on what to do together in Limerick—with a match for every mood. The most successful first dates have conversation built into the plan. When you sign up for a whiskey tasting at Michael Flannerys Pub, you can kick off the evening by chatting about the three whiskey samples provided with each other and the knowledgeable instructor. This casual social scene is a great place to begin an evening, and can help ease you into a longer night of dinner and drinks (or say goodbye after the 2-hour tasting if even after the whiskey, there’s no spark between you). If the weather is cooperating, a barbeque can be a fun way to spend a relaxing afternoon. Instead of worrying about the menu, let a local restaurant organize it for you. Stop into Copper & Spice for one of their BBQ packs that includes chicken satay skewers, lamb skewers, and tandoori chicken. Add in some snacks, salads, and drinks and you will have a complete afternoon barbeque to impress your date. 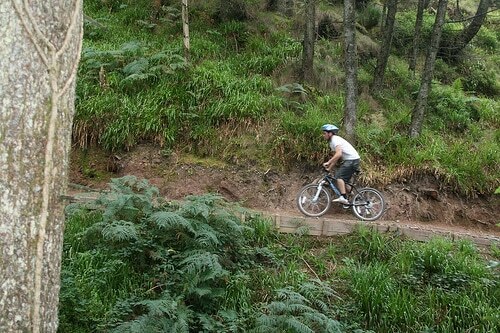 You will guarantee both yourself and your date an adrenaline rush when spending an afternoon at the Ballyhoura Mountain Biking Trail. Located in Kilfinane, County Limerick, this 98-kilometer trail system is a fun, challenging place to give off-road cycling a try. Bikes, helmets, and protective gear are all essential as you cycle through terrain included elevated rolling wooden platforms over brush below. Choose a loop based on your fitness level and time you’d like to commit to the trail.